U.S. Energy Secretary Rick Perry has travelled to Budapest to warn Prime Minister Orbán. The US won’t tolerate Orbán’s cozy relationship with Russian President Mr. Putin and won’t allow NATO member Hungary to slip over to the Russian sphere of influence. Ultimatum with a smile – U.S. Energy Secretary Rick Perry and Hungarian Prime Minister Viktor Orbán. Secretary Perry, a fifth-generation Texan understands energy and knows that Russia keeps Orbán on a short leash. 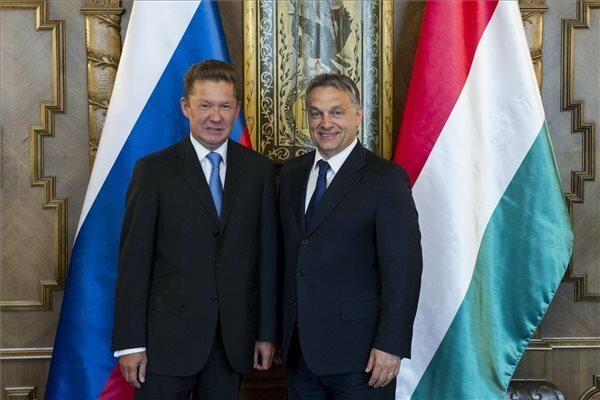 Hungary gets virtually all of its energy from Russia. Perry called on Hungary to reject Russian gas pipelines because Putin is using energy to cement Moscow’s grip on this part of Europe. “Russia is using a pipeline project Nord stream 2 and a multi-line Turkish Stream to try to solidify its control over the security and the stability of Central and Eastern Europe,” Perry thundered. 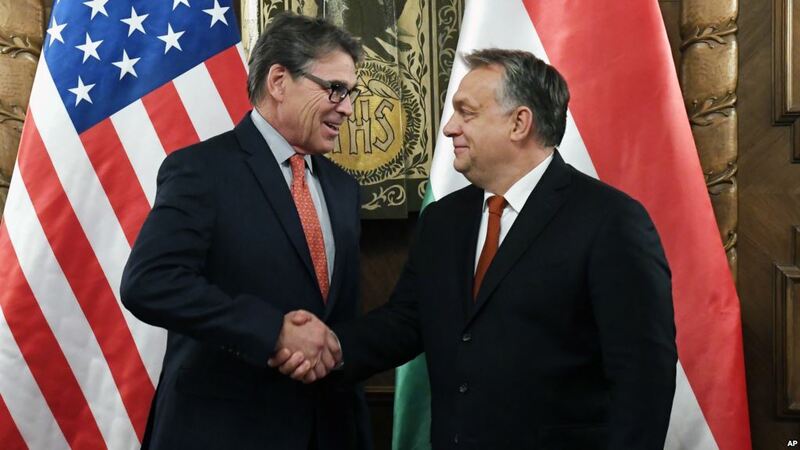 Perry has made it clear that the US is not pleased with Hungary’s desire to bring more Russian gas to Europe but Orbán is still doing the usual double-talk. In the last eight years Hungary has done nothing to reduce its energy dependence from Russia, in fact, the government has done the opposite. Orbán signed an agreement to build a giant, multi-billion-euro nuclear power plant at Paks using Russian technology and money. Now über-cynical Foreign Minister Szijjártó has innocently asked for U.S. help to support Hungary’s energy diversification. 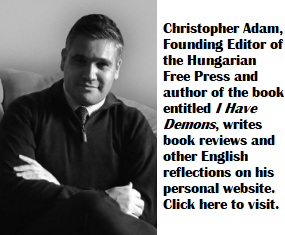 Such tricky communication won’t resolve the issue and it seems that US patience with Orbán is wearing thin. To be fair, the Hungarian government would be willing to buy gas from Croatia, which is building a liquefied natural gas terminal at Krk-island, or from Romania. At least this is what foreign minister Szijjártó said. After this ultimatum Orbán displayed one of his communication stunts and declared that Hungary-US ties are “excellent.” The State Department in Washington did not confirm his statement. I think even Perry was joking and fortunally the hungarian politicians understood this joke and everybody is laughing now. Thats correct ! 1. While the interests are known, how do we know about an “ultimatum” or it’s content? 2. LPG shipped across can’t be a feasible business claim many experts. Definitely can’t replace significant qty of land piped gas. Do we know what’s the US offer, if any?